It was a welcome arrival. 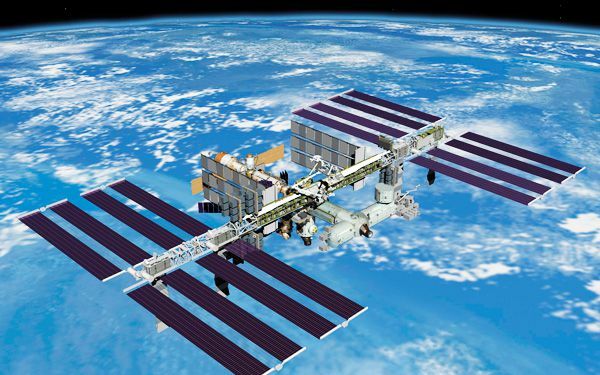 A shipment of much-needed groceries and Christmas presents has reached the International Space Station. 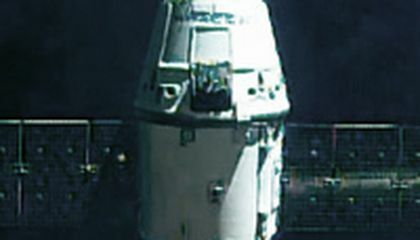 The SpaceX company's supply ship is called the Dragon. The craft pulled up Monday at the orbiting Internationl Space Station. It took two days after its liftoff for Dragon to get to the lab. Station commander Butch Wilmore used a robot arm to grab the capsule. It contained 5,000 pounds of cargo. This all happened as the station soared more than 260 miles above the Mediterranean Sea. The space station's six astronauts were getting a little low on supplies. The previous supply ship, owned by another company, was destroyed in an October launch explosion. NASA scrambled to get replacement equipment aboard Dragon. So did school children, who rustled up new science projects. Then Dragon was stalled a month by rocket snags. It should have gotten to the space station well before Christmas. Mission Control joked about missing not only the December shipment date but also Eastern Orthodox Christmas. That was on Jan. 7. NASA is paying SpaceX and Orbital Sciences Corp. for shipments. But Orbital's rockets are grounded until next year. That's because of its launch accident. SpaceX is picking up as much slack as it can. Russia and Japan also plan deliveries for this year. The first stage of the Falcon rocket peeled away as planned following liftoff. It flew back to a giant platform floating off the Florida coast. But the guidance fins on the booster ran out of hydraulic fluid. Right before touchdown, it landed hard. It broke into pieces. The California company's billionaire founder is Elon Musk. He said he was encouraged nonetheless. He plans another rocket-landing test next month. I feel sad for the people who is on the space station because the people on the space station celebrated Christmas late and they did not celebrate it with their family. I think that this is just terrible to them because they always have to work with all these other useless gadgets. If I were them I would just quit because it is not fun to just do work all day.